NovoCPT is the most popular CPT processing software in the market. Download NovoCPT today and explore all the features! NovoCPT comes with a complete help file (accessible from inside the program), and user’s manual in PDF and eBook formats to allow you getting up-to-speed in a very short time. Order Now and Activate Your NovoCPT in 15 Minutes! The details of soil liquefaction analysis is presented in a tabular format, for each depth. This data can be exported to Microsoft Excel format for further review / analysis. NovoCPT estimates the elastic settlement (Schmertmann method) and one-dimensional consolidation settlement (Terzaghi method) of pad and strip footings based on CPT data. You can use the program’s correlation functions to estimate Cc and void ratio (e) and choose the representative values for your model. The modulus of elasticity used for estimation of elastic settlement is directly estimated from CPT data. The details of settlement analysis is presented in a tabular format, for each depth. This data can be exported to Microsoft Excel format for further review / analysis. If you would like to learn more about the theoretical background of the methods used in NovoCPT, please visit its online documentation. This Page Shows Importing a CPT File into NovoCPT. Use NovoCPT to estimate the bearing capacity of piles directly based on CPT data, based on LCPC method. Various pile types are covered under the LCPC method and the program automatically carried out all complicated calculations to estimate the pile bearing capacity. Different Factors of Safety (or Resistance Factors) may be applied to end bearing and skin friction capacities. Both skin friction and end bearing capacities are plotted versus depth of the borehole. The details of pile capacity analysis is presented in a tabular format, for each depth. This data can be exported to Microsoft Excel format for further review / analysis. 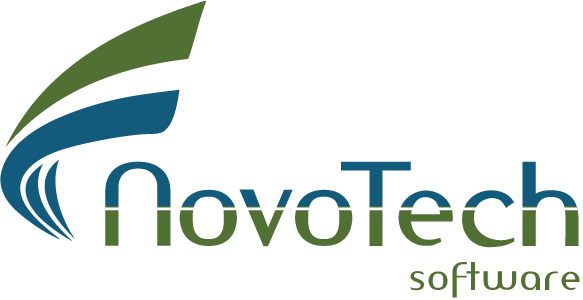 NovoCPT assists you to define subsurface soil layers based on CPT data collected during the test. You can view various CPT parameters and adjust the depth of each layer.